Tired of assigning agents every time ticket is created to your website? 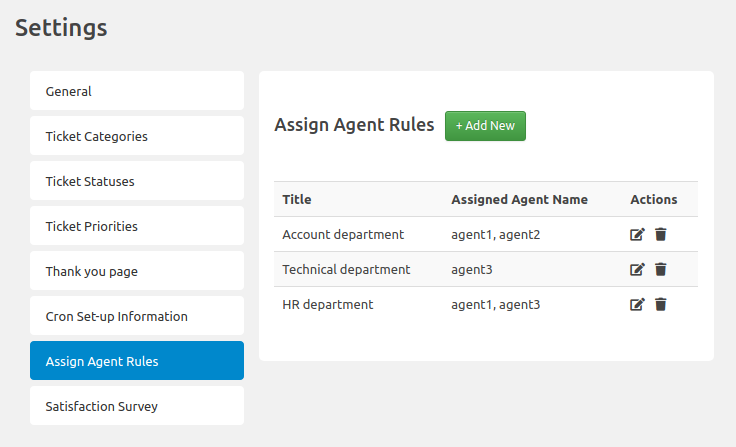 Here is solution to smartly assign tickets to agents. 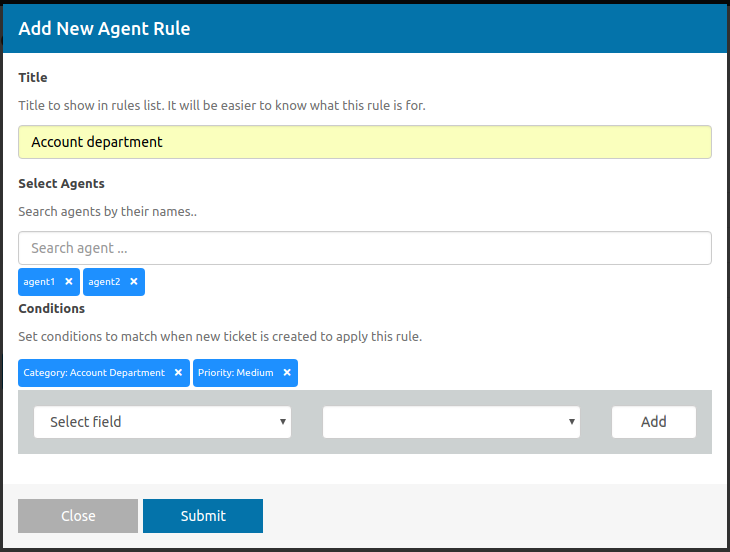 You can set rules (conditions) to match when new ticket is created and if matched, assign that agent to ticket. You should be able to understand its working from below screen-shots but if you have any question, please feel free to create ticket for pre-sale question.